How did a 40-something, New York City advertising veteran reinvent her life and start a soul purpose revolution in the process? Find out in Jessica’s new book. I’m Here to Help You Awaken to Your Truth. You are an incredible being that’s more powerful than you realize. Together, we’ll face the ways in which fear currently shows up for you to create a life that reflects who you really are. We’ll go deep and get personal. Then, hand-in-hand with the divine, I’ll help you bring forth your authentic power and truth. Know that the highest potential for your life is upon you. Leadership is a Spiritual Journey. 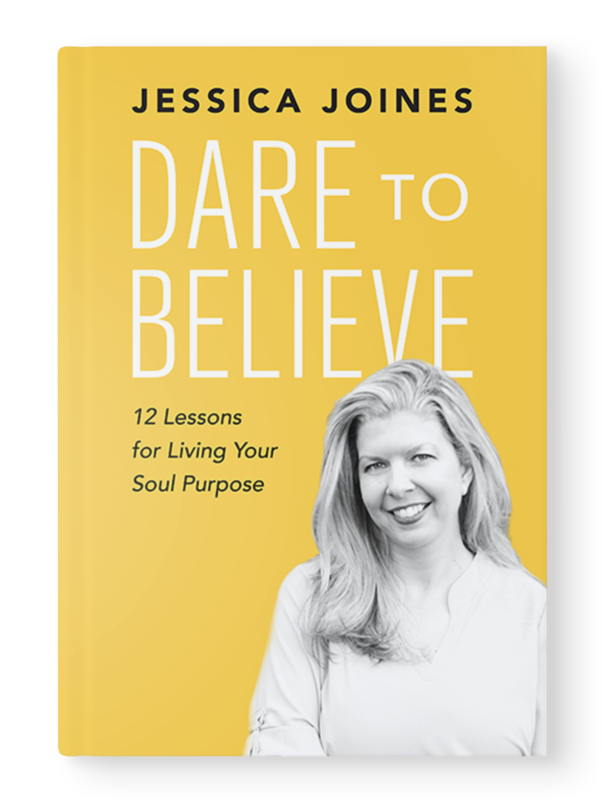 In this highly motivating and empowering talk, Jessica shares her own inspirational, personal journey and lessons learned to living a life of purpose, as featured in her bestselling book, Dare to Believe. She reveals how her own struggle and search to live a life of meaning lead to many failures, yet powerful lessons along the way. Jessica's inspiring talk about the new leadership paradigm that is rapidly transforming business and society as we know it; one that’s anchored in purpose, values and consciousness. She talks about the importance of viewing leadership as an opportunity for spiritual growth, where service, authenticity, honesty and openness are pursued and revered. Copyright © 2019 Jessica Joines. All Rights Reserved. Want to receive love in your inbox? Every Sunday night, I send you motivational guidance for the week ahead. Thank you! We will be in touch shortly to confirm your subscription.